This 103 acre parcel offers a quiet and scenic getaway in the heart of Michigan’s Thumb area. Located nine miles north of M-46 along M-53, it is adjacent to the Cass River and the 23 species of fish that cohabit that waterway. Handicapped accessible camping and bathroom/shower facilities come complete with modern pull through sites, some with 50 amp service. 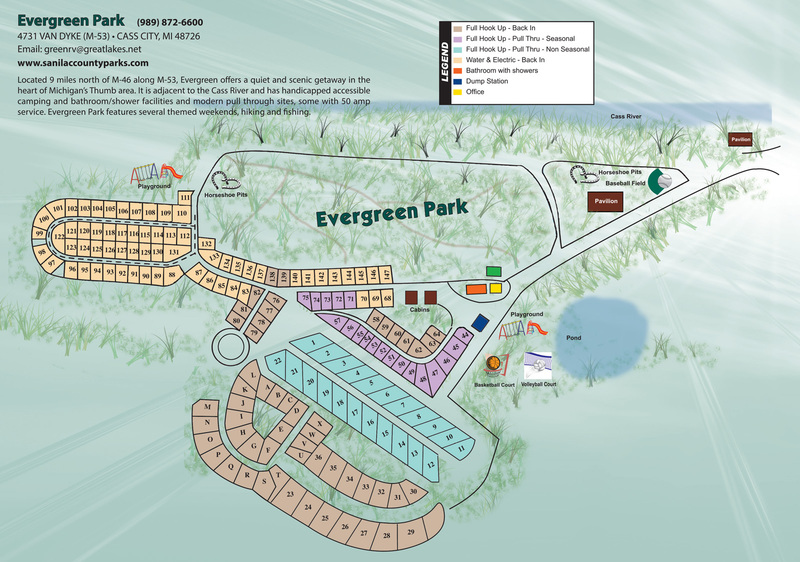 Evergreen Park features several themed weekends. Hiking, pavilion, and playground equipment available.